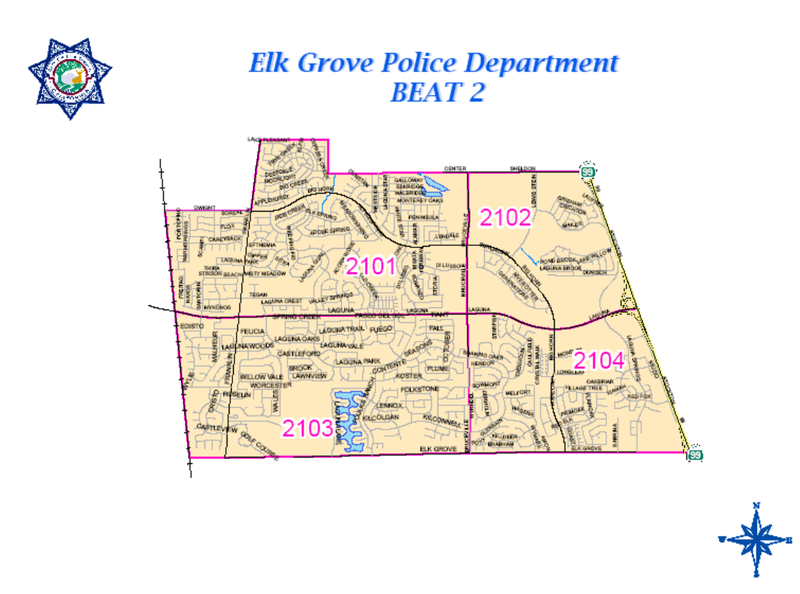 As part of their on-going outreach efforts, the Elk Grove Police Department will conduct a community meeting next week. 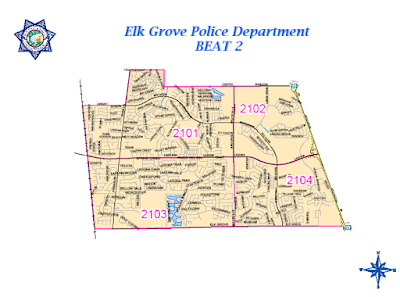 The meeting, which will be held on Tuesday, March 8, will focus on Beat 2 (see map above) in the central Laguna area. Personnel from various units within the EGPD will be on hand to answer questions that residents may have regarding crime issues. Community beat meetings are designed to strengthen the partnership between the police department and the community it serves. The meeting will be held at the Multi-Purpose Room of Harriet Eddy Middle School located at 9329 Soaring Oaks Dr. and starts at 6 p.m.
For more information, please contact the Problem Oriented Policing Unit at (916) 478-8110. Additional community meetings are planned and will be announced once scheduled. Will any politicians be there to score campaign points?